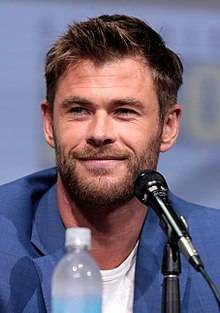 Christopher Hemsworth (born 11 August 1983) is an Australian actor. He rose to prominence playing Kim Hyde in the Australian TV series Home and Away (2004–07). 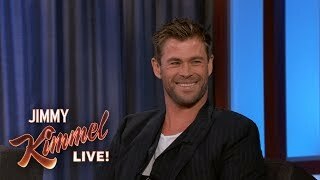 Hemsworth has also appeared in the science fiction action film Star Trek (2009), the thriller adventure A Perfect Getaway (2009), the horror comedy The Cabin in the Woods (2012), the dark-fantasy action film Snow White and the Huntsman (2012), the war film Red Dawn (2012), and the biographical sports drama film Rush (2013). 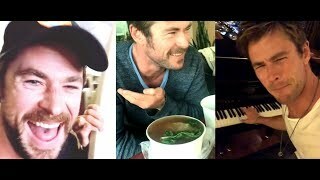 In the Marvel Cinematic Universe he portrays the role of Thor, beginning in Thor (2011), and also appearing in The Avengers (2012), Thor: The Dark World (2013), Avengers: Age of Ultron (2015), Thor: Ragnarok (2017), and Avengers: Infinity War (2018). He will reprise his role in Infinity War's untitled sequel scheduled to be released in 2019. In 2015, he starred in the action thriller film Blackhat, had a comedic role in the fifth installment of National Lampoon's Vacation series, Vacation, and headlined the biographical thriller film In the Heart of the Sea. The following year, Hemsworth had a supporting role in Sony's reboot of Ghostbusters. Hemsworth will reprise his role as George Kirk in the upcoming Star Trek sequel. Red Dawn, a group of high schoolers band together to protect their town from an invasion of Chinese soldiers. American and Chinese forces work together on a case of high-level computer hacking.